Khirsten Branham - Stand Up, Inc.
Khirsten Branham is an Employment Specialist with Stand Up's Southwest Virginia team. 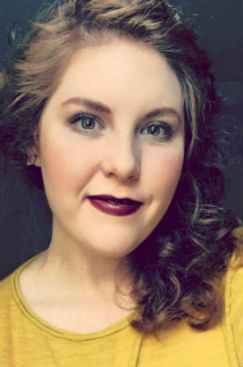 She graduated from Sweet Briar College in 2015 with an Honors Degree, a Bachelor of Arts in English and Creative Writing, and a minor in Art History. After graduating, Khirsten worked for the Department of State as an Agreements Analyst in Washington D.C., but eventually came to the conclusion that she wanted a job that centered around helping people in her community. Khirsten moved back to her home town of Bristol, Virginia, and has been working for Stand Up as an Employment Specialist since January of 2017. Khirsten's favorite part of her job is creating a person-centered plan with her customers and helping them fulfill their goals over time. She is currently pursuing a Masters of Arts in Teaching from Liberty University and hopes to eventually dedicate her life to a teaching career in Special Education.